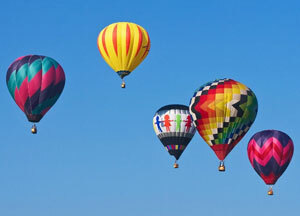 From 10-3 0 November 2013, the international hot air balloon performance under the theme “Asian wings” will be held by Chien Thang Co.Ltd in 5 cities and provinces of Ha Noi, Ha Nam, Nam Dinh, Hai Duong and Quang Ninh. This event is to celebrate Vietnam to host Asian Advertising Congress 28th – ADASIA 2013. Accordingly, there will be 5-10 hot air balloons of level 7 (22m high, 18m diameter) performed by 8 Vietnamese pilots and 10 foreign pilots from 5 countries and territories (USA, the Netherlands, Malaysia, Thailand and Taiwan). It is hoped that the event will attract a large number of visitors to experience and contemplate peaceful and beautiful views of the 5 localities from the air. Hanoi: From 10 – 14 November – My Dinh Stadium,Truc Bach Lake, the east of Vinh Tuy Bridge, Thang Long Bridge (Ciputra), the National Urban Planning Exhibitation Hall (NUPEL), Bao Son Paradise. Ha Nam: From 15 – 19 November – flying from Phu Ly City Stadium, across Chau Sơn, Cau Gie – Ninh Binh highway; from Phu Ly Park to But Son Cement Company or Thi Son, Chi Ne, Dam Da tourist attractions. Nam Dinh: From 19-23 November – flying from Thien Truong Stadium to Tan De Bridge or Vu Ban, Y Yen. Hai Duong: From 19-23 November – flying from Center Square to Phu Luong Bridge, Lai Vu Bridge, Highway No.5; from Hoa Binh Park to Lai Cach town – Cam Giang. Quang Ninh: From 26 -30 November- flying from Tuan Chau Island to Day (Bottom) Well – Ha Long City, and Cua Luc Bay, Thong Nhat Ward; from the new square of Quang Ninh Province, across Ha Long City to Hong Thang or Day Well, Tuan Chau, Quang Yen. The 28th Asian Advertising Congress (AdAsia 2013) themed “Re-engineer Advertising” will be organized for the first time in Ha Noi from November 11-14 at the National Convention Center.